Louisiana’s Finest Taxi & Transportation Inc.
We service the general Lake Charles and surrounding areas within a 30 mile radius. 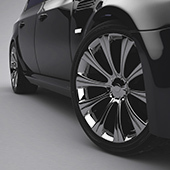 Our first goal is to provide timely service, clean vehicles, and a smooth comfortable ride each and every time. We know you have choices in who you will use, we want to be your go to transportation provider. We aim to please all of our clients and to build lasting relationships through good quality service. We won't let you down! Call us from any hotel in the area. We will be there to pick you up. From your office or your business. We will take you there safely. It feels like a limo company, excellent service. Best cars you can get for a Taxi Company. Smooth ride, excellent driver and great rates. © COPYRIGHT 2015 LOUISIANA'S FINEST TAXI & TRANSPORTATION CO.